Malta Creative Collective is an independent, purpose-led movement that brings together like-minded creatives currently based on the Mediterranean isle of Malta with the aim of facilitating constructive connections. As creators, we mix single ingredients to shape new ideas, products and brands in widely differing fields – from fashion to dance and photography; from the food and health industry to the retail sphere. Our motto? Collaboration beats competition – hands down. We’re here to lift each other up, not push each other down, because when an individual creative succeeds, then the entire creative community thrives. In this spirit, we regularly regularly host meet-ups, workshops and talks across Malta, which are open to all - both collective members and non - who share our collaborative creative vision. If you’d like to share any upcoming events in Malta, collaborate, throw a few questions our way, or just wish to say hi, drop us an email at info@maltacreativecollective.com or use our contact form. To keep up-to-date on all of our latest, visit our Facebook and Instagram pages. Serendipity and their passion for a grounded vision of life brought Carla Grima and Rossella Frigerio together in Malta in early 2016. As founders of emerging niche brands in the fashion field, their first professional collaboration on the isle brought together both their Maltese and international threads. A friendship was born and so was the desire to create a space within which to bring together Malta­-based creatives from all industries and all countries to cultivate a spirit of collaboration, much as they had done themselves. After a chat over peppermint tea (their favourite!) 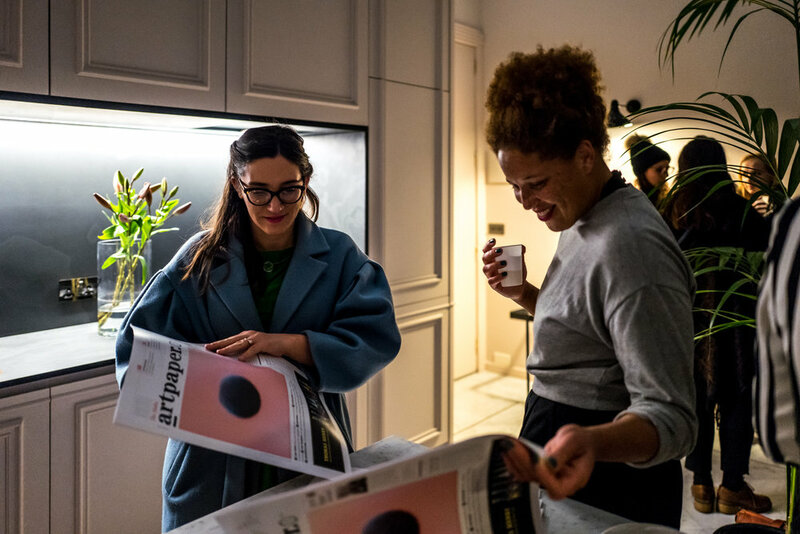 and their first informal creatives gathering in January 2017, the Malta Creative Collective came to life. Our logo has been designed by Cone-headed Cat.